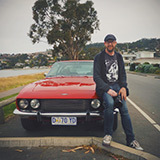 Australian Jensen Forums • View topic - Post moderation. The default setting required me to approve all new members first three posts to make sure they are real people not spambots. I have disabled this so you should now be able to post immediately. For some reason I still need to approve some members posts, they seem to be members who joined before I adjusted the setting. It seems it does not alter the permission to existing members, so if your posts go to moderation, don’t worry it should be OK after you have made three posts. Thanks Nigel - have made a couple of extra posts so that I qualify to the exalted rank of 'FreePoster'! Hopefully it works for you now, if not then maybe the forum is powered by Lucas.